Just went through 40 pages of this topic to get to know some new bands. Will be doing Last Downloaded and Albums you're digging tomorrow. I know a bit of German because I live only a couple of hundred yards from Germany (literally). Thanks for the tips again people. I noticed that Burning Down & I Should get along when it comes to music. There's a reason why this song/vid blew up. Can't stop listening to it. I'm listening to People of the Earth by Graham Coxon. The lyrics make me laugh. "People of the Earth, your world is crap. You ain't even on the universe map." I would post a link but I'm new and haven't gotten to 15 posts yet. Last edited by VEGANGELICA; 03-05-2011 at 12:23 AM. Goodness! That is a long image name! I am really curious now what the image would be if I could see it. "We have a way of saving our own lives. land of the thirsty, the hungry." It's a dutch 70's progrock band. If you like Kayak, you will probably like this better. I think it's brilliant, way better than Kayak. But these guys only made one poper album. The rest is just plain awful. Surprisingly good! Reminds me of 'Green' and that's a good thing. 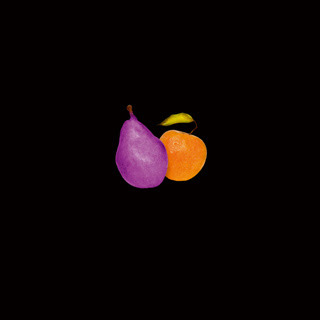 DeWolff - Strange Fruits & Undiscovered plants.